Fires can be very dangerous and deadly. Several fire safety measures can be used to help prevent serious injury or death during a fire. First, keep fire extinguishers in handy locations and keep one extinguisher on each level of the home. Also, install smoke detectors in hallways, sleeping areas, the kitchen, and garage. Test them once a month and change the batteries regularly. 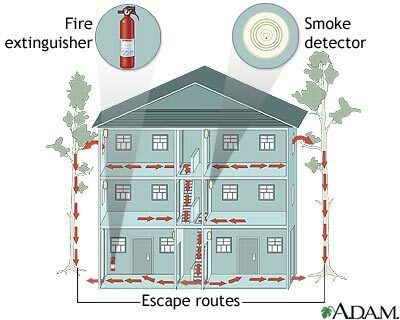 Finally, establish fire escape routes from every room in your house and teach family members what to do in case of a fire.